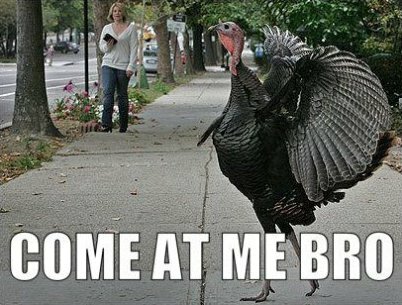 Preparing the turkey for Thanksgiving can be a monumental task. With stuffing, proper basting and long cooking times, it can be both difficult and intimidating to hold the responsibility of preparing the turkey. 3DCS Essentials Webinar - Excel Import, Color Mapping, Reporting and More! 3DCS software lends itself to more than just simulation, giving engineers the ability to update their models with inspection data to root cause build issues, or create inspection and measurement plans from their analysis results. 2016 the 2nd DCS China Users’ Conference has been successfully held in Shanghai Jianguo Hotel on November 2nd -3rd. Following the success of the 2014 DCS ASIAN User Conference in Shanghai, ETA-China hosted a general assembly and training conference for the APAC region to help local companies learn about advances in tolerance analysis solutions as well as best practices and processes from other manufacturers. With ample time to network, this event also provided a community of current users to spread best practices, tips and applications for 3DCS tolerance analysis software. TES-RnD is now a Seller's Agent for DCS Quality Solutions, including the industry leading software 3DCS Variation Analyst. As an engineering and GD&T service and consulting company, TES-RnD is perfectly situated to provide dimensional management tools, support and training in Israel. With a clear understanding of mechanical engineering principles, TES-RnD now has the opportunity to include 3DCS software as part of its solution offering. TES-RnD is a boutique Mechanical Engineering Research and Development house, providing solutions in the mechanical design field as well as GD&T training and consulting. With this new product from DCS, manufacturers can instantly turn their models into inspeciton plans and measurement plans for the plant floor. 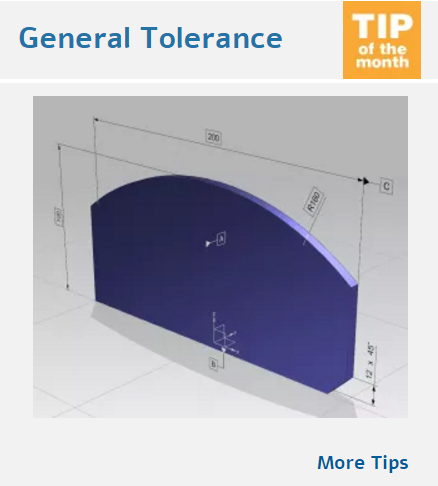 CAD models are now ubiquitous with manufacturing. However, once the model is done, and converted to 2D prints, it is often forgotten. Why? It is hard to correlate plant data with the CAD model and continue to use it. This is why, when design is done, the model is often shelfed until needed for a future design product. 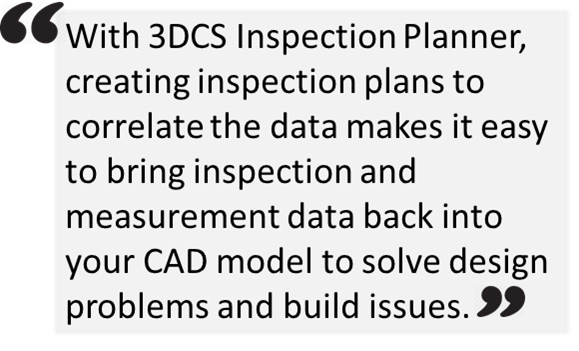 With 3DCS Inspection Planner, creating inspection plans to correlate the data makes it easy to bring inspection and measurement data back into your CAD model to solve design problems and build issues.